How can I format private messages on Koreabridge? This should automatically enable the 'wysiwyg' bar at the top of your post. 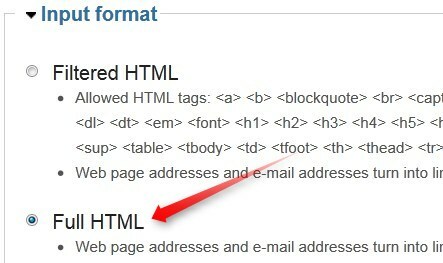 If you don't see that, click 'enable 'rich text' at the bottom of the Message box. 알림, 물품판매,집,언어교환, 물품구매 그리고 구직관련 광고글등을 올리실 수 있는 곳입니다. 개인적인 광고, 행사캘린더에 게재 되어야할 행사등을 올리는 것은 허용 되지 않습니다. Most other types of ads including including Announcements, For Sale Items, Housing, Learning Exchanges, Want to Buy Items, & Jobs Wanted. Please note that we do not accept personal ads and that events should be posted in the event calendar. Forum Discussions - 전반적으로 한국에서의 생활, 공부 혹은 일에 관련된 전반적인 질문을 포함합니다. Koreabridge stuff포럼에는 코리아브릿지에 대한 질문을 게재 하 실 수 있습니다. Business/Organization Lisitngs - 업종에 상관없이 사업 혹은 단체들은 무료로 목록등대재를 하실 수 있습니다. Blogs, Photos, Audio , & Video - 개인이 소유하고 있는 창작물을 공유하고 싶으시다면 당신은 코리아브릿지 발행자가 되실 수 있습니다. If you would like to republish your creative works, you can 'become a Koreabridge publisher'. Printer-friendly versionIf you would like to delete you Koreabridge account, please contact us with that the request. If you want to delete it resulted in receiving any kind of unwanted or inappropriate contact, please let us know the details so we can take action. How can I moderate comments on my own post? For most types of content on Koreabridge (except job ads and forum posts), users can approve or delete comments on their own posts. Comments from 'unmoderated users' will appear without any moderation, but the post author can remove them by clicking 'delete'. Comments from new or moderated users will need to be approved before appearing to other site visitors. 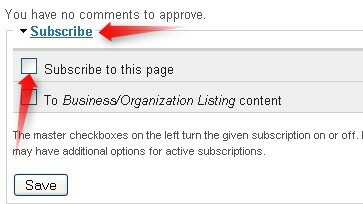 If you want to make sure that you are notified by email when someone comments on one of your posts, click 'subscribe/subscribe to this page' at the bottom of your post. How can I publish a set of photos on Koreabridge? 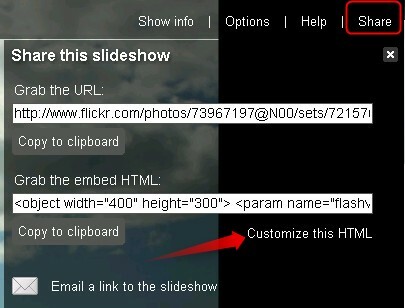 To post a set of photos published on a photo sharing site like Flickr or Picasa , first request publisher permissions. Once you've been made a 'publisher', click 'create photoset'. 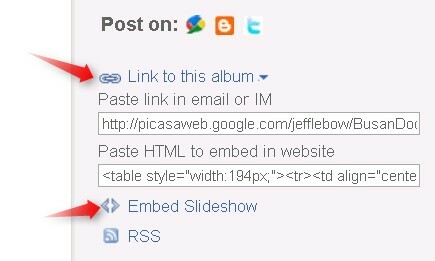 You can publish photos from any photo sharing site. 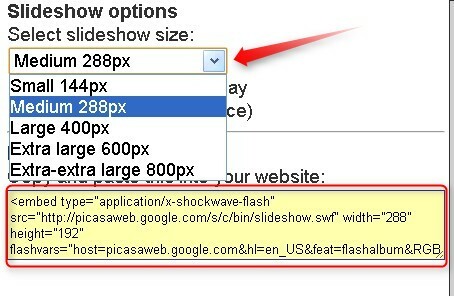 Below is some specific information about how to do so from Flickr & Picasa. How can I subscribe to Koreabridge content? Printer-friendly version If you would like to receive email notifications when certain posts or types of content are published, you can do so by 'subscribing' to it. Below every type of 'subscribable' content, you can see a subscribe section. To subscribe just to that post, click 'subscribe to this page'. To subscribe to all posts of that kind of content, click 'To <content type> content'. Then click 'save'. You can control all of your subscription settings, by clicking 'My Account/Subscriptions'. There are a number of settings there including auto-subscribing to your own content, how often to receive notifications, and whether to receive them in batches or individually. In order to post on Koreabridge, visitors need to register here. 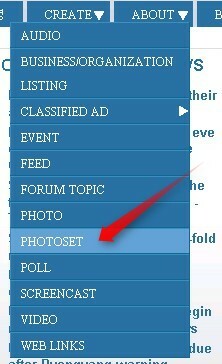 Once registered, users can post in the following sections by clicking the 'Create' tab in the top menu. More information about our posting policies is here. There is no charge for posts except Job Offered Ads and Premium (Business) ads. More information below. Job Offered Ads - for those offering job position. In order to post job ads, job ad credits must be purchased. Information here. Other Classifieds- For individual who want to post other types of ads including including Announcements, For Sale Items, Housing, Learning Exchanges, Want to Buy Items, & Jobs Wanted. Please note that we do not accept personal ads . Businesses can post in the classified section, but must purchase 'premium' job ad credits in order to do so. Information here. 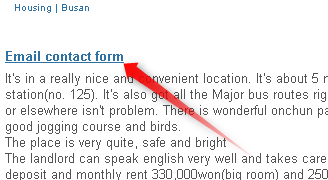 Forum Discussions - Primarily for questions about living, learning, and/or working in Korea. You can also post questions about this website in the Koreabridge Stuff forum. Event Calendar - post information about meetings, nightlife events, conferences, etc. Business/Organization Lisitngs - basic listing is free for any business or organization related to Korea. Blogs, Photos, Audio , & Video - If you would like to republish your creative works, you can 'become a Koreabridge publisher'. 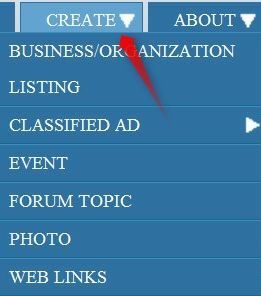 To place a classified ad, register, log in, and click 'create/classified ad'. The first time you place an ad, it will probably not appear until a moderator approves it. Once you've posted a non-spam ad, you will be considered a 'trusted user' and future ads will not be moderated. Please take a look at our posting policies before first placing an ad. Do not post ads for your business in the Classifieds. If you own a business (including recruiting companies, restaurants, bars, travel agencies, and medical services), you are welcome to add your business to the Business Listings for free. Ads not related to Korea and those for 'home based businesses', 'online electronics', and other common 'spam' ads will not be accepted. All classified ads are free except 'Job Offered Ads'. For offering jobs of any type. (Job Wanted ads are placed elsewhere) These ads are free until the end of August 2009. After that, we will likely begin charging for these. All other kinds of Classified Ads including Announcements, For Sale Items , Housing, Learning Exchanges, Looking For Items, Jobs Wanted & Personals . There is no charge for placing these ads. Ads will expire after 31 days. Users can edit or delete their ads whenever they wish. We ask that users not post the same ad more than once a month. How can I publish my photos, videos, or audio podcasts on Koreabridge? In order to publish your media on Koreabridge, register here and then contact the Koreabridge Management team. Let us know the types of media you'd like to publish and links to any materials you already have published. As long as your media is in related to Korea and doesn't violate our posting polices, you will be given 'puiblisher permissions' which will enable you to create photo, audio, and video nodes. You will be notified once your permissions are active. Each publisher can add a signature to their Koreabridge.net account that will appear on all of their posts. The signature can be your own google ads or other kind promotional blurb. The signature should also include licensing information for the content. To edit your signature, click 'My Account/edit'. Material should be original content and not violate any copyright laws. Publishers maintain all rights to their creative works. We prefer that content be published with some kind of Creative Commons license, but there is no licensing requirement. Publsihers can remove their content from Koreabridge.net at any time, but should be aware that third party sites like archive.org may maintain copies and that we have no ability to have those copies removed. Below is more detailed information about different kinds of media content. 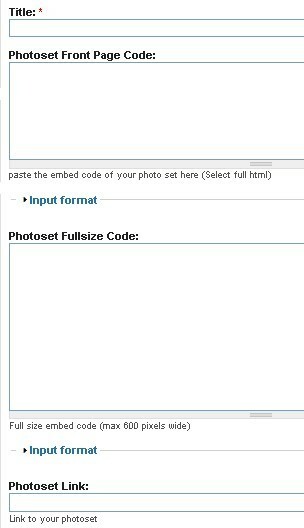 Publishers can post up to 5 photos/day by clicking 'Create/Photo' . Each photo can be up to 3MB. What should I know about working in Korea? We encourage everyone to do their research before accepting employment offers. These resources below should help. The information below was put together in 2005 and as such is bit out of date. We will be updating/recreating a job guide soon. In the meatime, you can find current information in the guides and resources listed above. This is advice for E2 and E1 Visa holders. Most of the rules/advise listed here does not apply to F1-2, F4, F5, E5, E7 or other visa holders. For further information about your visa limitations, always inquire at your local Immigration Office before starting a new job. 1. It is illegal to work without a proper visa. You must have the visa sticker in your passport before you can start work- without exception. If your employer asks you to work before you have your visa sticker, refuse. Insist on getting your visa before you teach your first class or you are working illegally. 2. Your visa is associated with ONE location. If your employer asks you to work at more than one physical school, you need to get Immigration permission and apply for a secondary workplace permit. EPIK and GEPIK are exceptions. EPIK employees can legally work in multiple locations without Immigration permission. 3. Working "Privates" or "Part-Time Jobs" without Immigration permission is illegal. Working in a second registered business place is possible (a secondary workplace) if you have permission from Immigration. However, working "privates", or tutoring at a non-business, is illegal. 4. You need Immigration permission to work at a camp outside of your primary workplace. It will either be registered as a secondary workplace (if you currently hold an E1-2) or you may be eligible for a Temporary Employment visa. Inquire at your local immigration office before teaching at a camp to ensure your legality. Koreabridge does not offer blacklist or greylist services. There are a number of sites that keep lists of employers and recruiters who are less than desirable. If you host a site or hear of a site not listed below please let us know at 'manager at koreabridge.com' and we will add it to our list. A coupe of the most valuable sites for teachers looking to understand their rights are atek.or.krand www.efl-law.org Both sites can help you consider a number of things you should look for before signing a contract. Reliable Teacher Hagwon Review- compiling a helpful collection of hagwon reviews. A free site that gives teachers a chance to review a school as well as find multiple perspectives from a variety of teachers about a school. Teachers submitting their schools rate them as "great, good, poor or unacceptable". This site provides a forum on which one can "blacklist" a school as well as some helpful information about working overseas. Most schools on their "School Review" board are Chinese, but there are a few Korean schools on the list. This page is for those looking to become expatriate English teachers in Korea, and/or for those expats already in-country experiencing labor-related problems. It primarily functions as a watch list of institutions to watch out for. Secondarily, this page contains copious amounts of advice on how to deal with many possible problems in the Republic of Korea.